Rick Kirkpatrick brings his band back to the Nevada Theater Friday May 20th at 8:00 PM. After a successful show in 2013 to a packed house, Rick has all new songs and a new band. Band members include David Clouse drums, Katie Baker keyboards & vocals, Charlie Faber bass, Kimberley Bass, Peter Wilson and Ennis Harrield on backup vocals. 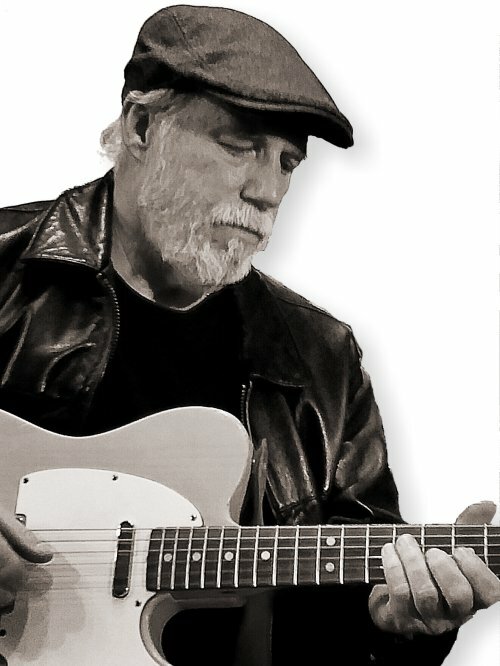 Rick started playing guitar in the early 70’s, a hugely rich time a for a young guitar player to be in with incredible influences from Clapton, Beck, and Hendrix to Muddy Waters and Mississippi John Hurt. Great music was coming from all directions with James Taylor, The Band, The Byrds, Sly Stone, Ike and Tina Turner… rock and roll, gospel, folk, funk and blues. That in a nut shell is Rick… well you’d have to toss in country and bluegrass to get the full effect. Rick grew up in Great Falls Montana and moved to Tucson Arizona at age 12 and began playing a few years later. Like many young people at the time, when the Beatles played The Ed Sullivan Show in 1964… everything changed. Though Rick was still gluing Ed Roth cars and Rat Fink models together and his ambition at the time was to be a dragster driver, this new music was a powerful force. The Dave Clark Five, the Stones and the Yardbirds… all English bands. If a dragster would have cost less than $75 then Ricks life would be very different today. As it turned out a purple Fender Music Master started the ball rolling. Someone had custom painted this guitar… custom meaning spray paint… metal flake purple. You couldn’t really tune it but it sure looked cool! The next year or so Rick would sit on his bed after school dropping the tone arm back down on to records trying to duplicate Chuck Berry’s Johnny B. Goode or the Chamber Bros. Time Has Come Today. Cool stuff. In 1979 Rick won the Eric Clapton guitar contest in Tucson thus starting his professional career… that was of course after cussing out the music teacher in Jr. College who wouldn’t let him in the band. From there Rick played in a number of club bands and original bands from the Northwest to Hawaii, Atlanta, San Francisco and LA. After Ricks son was born in 1992 he made a decision to be a good dad and got a job building theater sets and like many seasoned musicians, worked at a restaurant. After relocating to Nevada City and working as a carpenter (a nail bender) Rick was talked into teaching kids how to play guitar. The first few students taught him how to teach and his enrollment steadily increased year to year. With some of his students becoming good musicians their parents wanted to know what the next step would be. Many of these kids were in middle school so Rick created an band program called THE13. This program started at the Center for the Arts where Rick had been a board member and ended at the Miners Foundry 6 years later (he ran out of kids!). Rick helped lots of kids (9 bands) get the taste of what it’s like to rock and roll. Rick is a member of the Thousand Kisses Deep songs of Leonard Cohen group that has thrilled audiences for the past 5 years. “New Songs From an Old Place” and this past year he had the privilege of opening for one of his favorite songwriters Peter Case. With a new set of songs Rick will take the stage at The Nevada Theater Friday, May 20th. See you there.